Katy Smith, executive creative chef at Puesto, is best known for her hip tacos, handmade blue-corn tortillas and craft cocktails, but those delicacies only scratch the surface of her talent. Puesto, with two locations in Irvine as well as others outside Orange County, serves up a wide variety of Mexican-themed dishes, many with Smith’s irresistible twists. Her guacamole is one example. She includes traditional takes on the avocado-based concoctions, spiking them with just-right amounts of fresh lime juice. Other renditions are augmented with ingredients fueled by her culinary inventiveness. 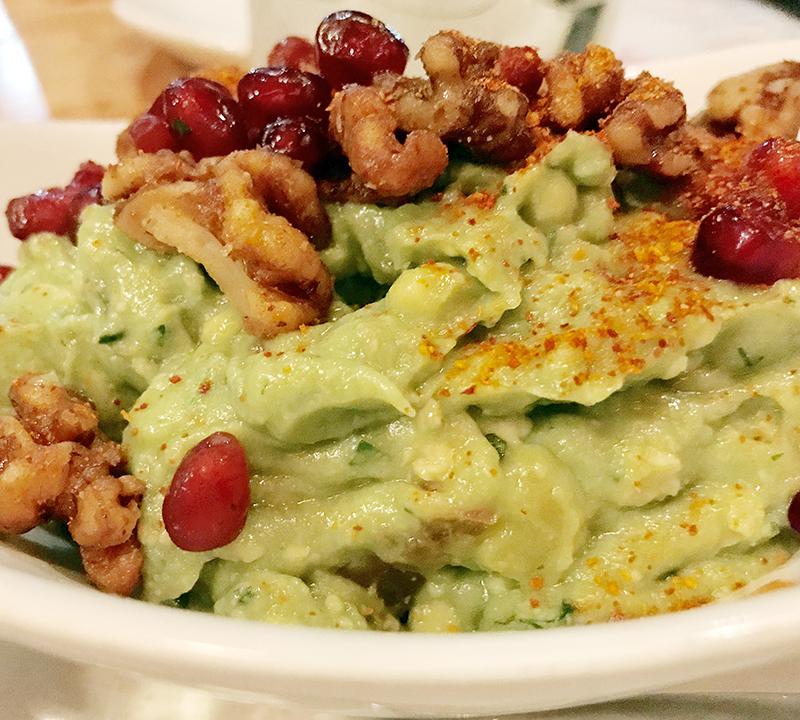 Guacamole Nogada is a delectable treat, a balanced mix of sweet, salty, sour and creamy nuttiness; it’s garnished with cubed mango, pomegranate arils and candied nuts. In my home kitchen, tapping a how-to video, she prepared the more tradition version using black cod that she sautéed skin down to create a potato-chip crunch on the surface. She started the Veracruz sauce by sautéing a sliced white onion, an onion variety that is most often used in Mexican dishes. That variety has a clean, interesting taste and is more tender and thin skinned than other varieties. Best Cookbook: “A Boat, a Whale & a Walrus: Menus and Stories” by James Beard Award Winner Renee Erickson, the chef and owner of several Seattle restaurants. When she reads it, she feels like she is on a vacation. She appreciates the way the author strives to take care of her employees. 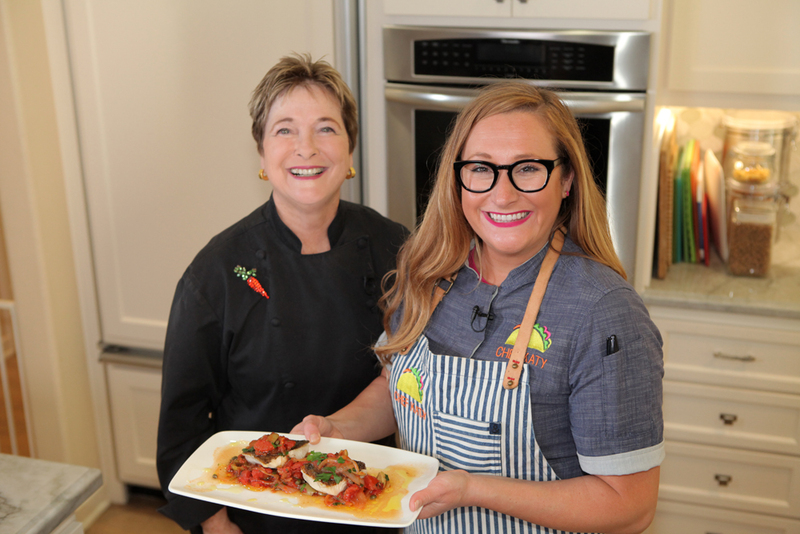 Mentor Magnífico: She says that celebrity chef-restaurateur Rick Bayless changed her life. She worked with him on the media side of his career as kitchen director for season 10 of Bayless’ Emmy-nominated PBS series, “Mexico – One Plate at a Time” and traveled with him on Mexican culinary tours. Heat oil in large deep saucepan on medium-high heat. Add onion; cook, stirring occasionally until lightly caramelized and tender. Add tomatoes, garlic, olives, jalapeno, escabeche liquid, bay leaves, oregano and parsley. Simmer on medium heat for 20 minutes. Towards the end of simmering, cook the fish. In a large nonstick skillet, heat 1- to 2-tablespoons oil. Add fish skin-side down; cook until almost cooked through and turn. Cook just long enough to just barely cook the fish throughout. Add capers to sauce. Taste sauce and add salt and pepper as needed. Place most of sauce on platter. Top with fish, placing it skin up. Spoon remaining sauce on top. 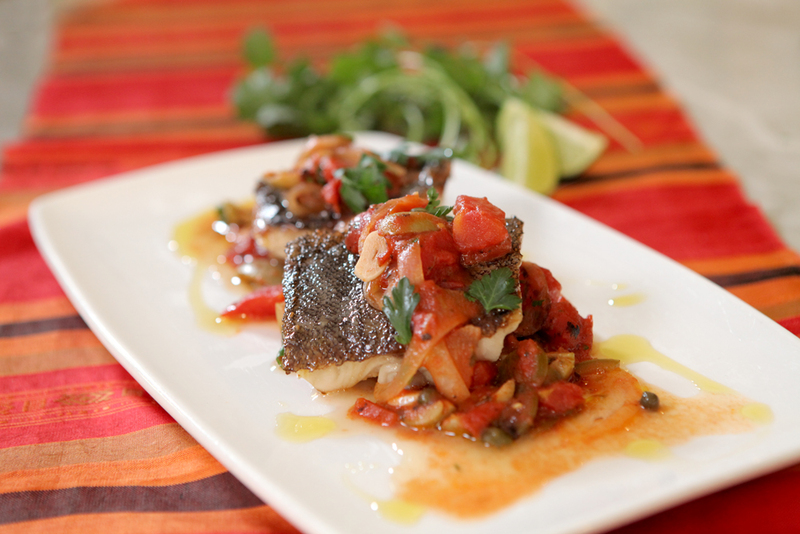 Garnish with parsley, cilantro and lime wedges, plus a drizzle of extra-virgin olive oil. Orange County Puesto locations: Los Olivos Marketplace – 8577 Irvine Center Drive, Irvine and Park Place Irvine – 3311 Michelson Drive, Irvine.